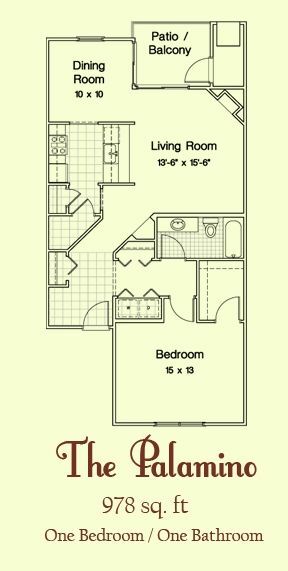 Features a large open living space, spacious laundry room with full size washer and dryer. 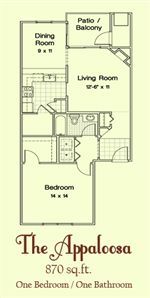 Extra sink and vanity area in master closet with access to main bath. 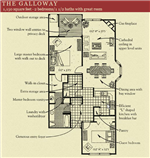 The Galloway is mos...t of the time on the end of the building, giving you a beautiful bay window. 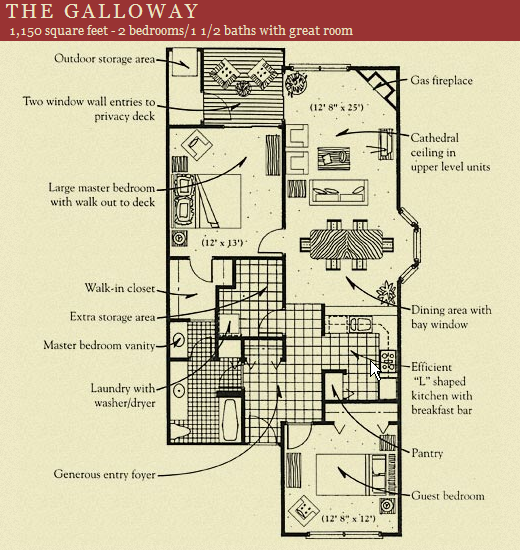 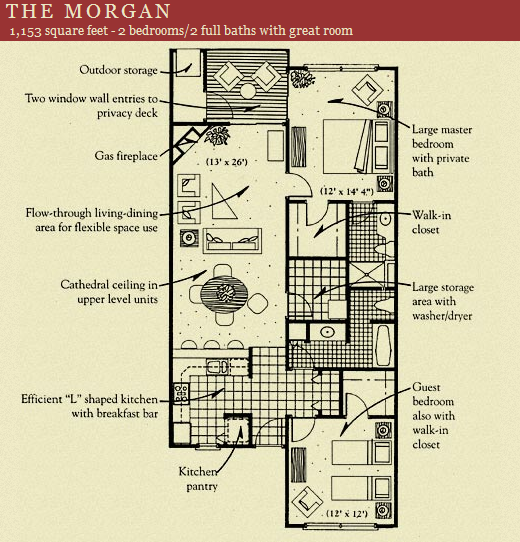 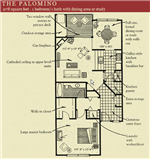 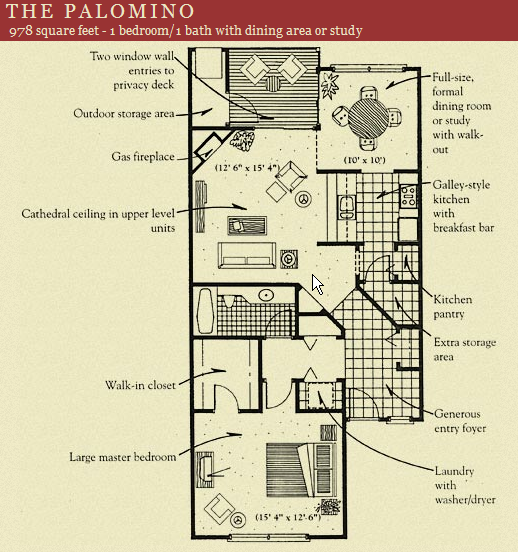 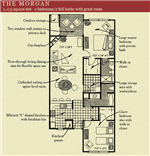 A large two bedroom two bathroom floor plan. 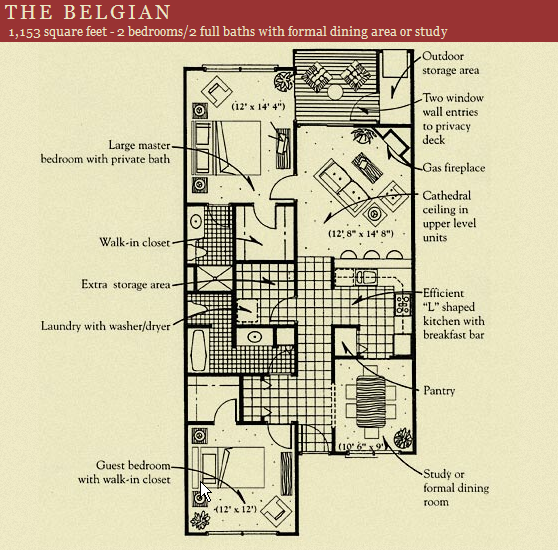 The kitchen separates the living room and dining room. 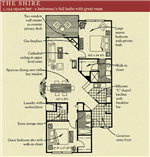 A large, open floor plan, the Shire is always on the end giving you a beautiful bay window. 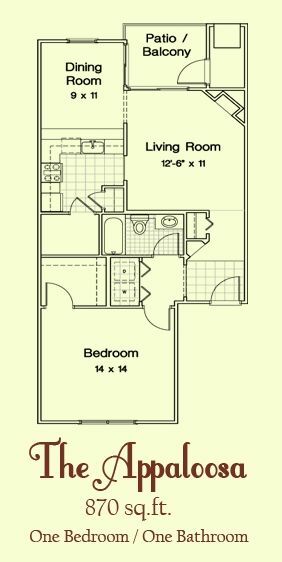 One bedroom apartment with private patio/balcony which features a fully equipped kitchen with a pantry and breakfast bar, large bedroom with walk-in closet and a full size washer/d...ryer. 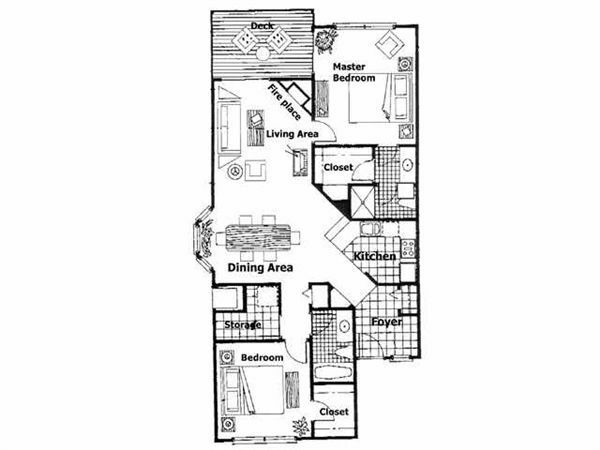 One of Ann Arbor's most premier apartment home communities, Valley Ranch offers apartment homes that have been designed with you in mind! 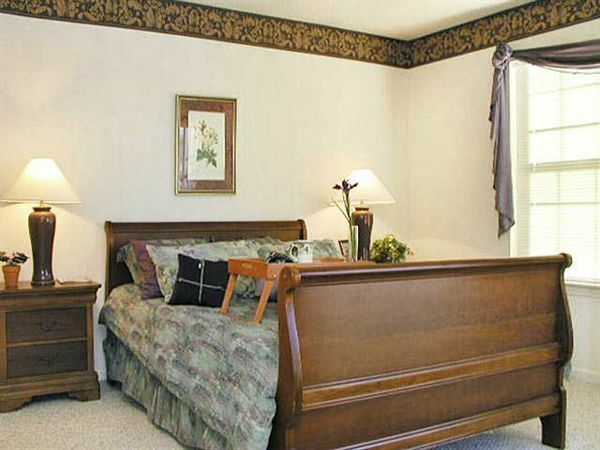 Valley Ranch is the preferred choice for our residents because of the great layouts of each one and two-bedroom apartment home, the gas fireplace in each home, dramatic cathedral ceilings in our second floor units, generous closet space, intrusion alarms, built-in microwaves, large kitchen pantries, and the washer and dryer in each home. 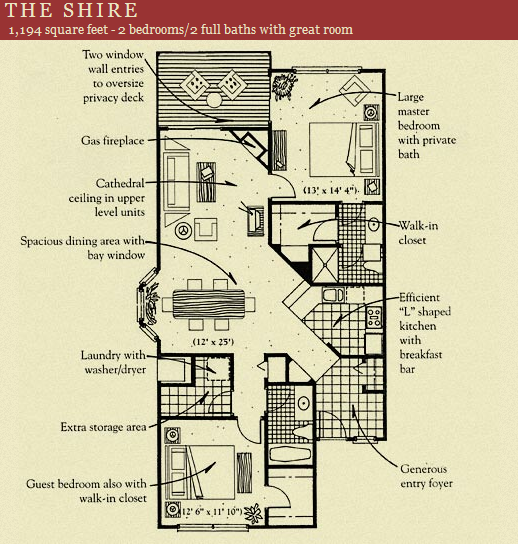 Our residents are able to maintain their active lifestyle with an energizing amenity package that includes a newly expanded state-of-the-art cardio and strength training center, outdoor pool and spacious sundeck, and so much more! 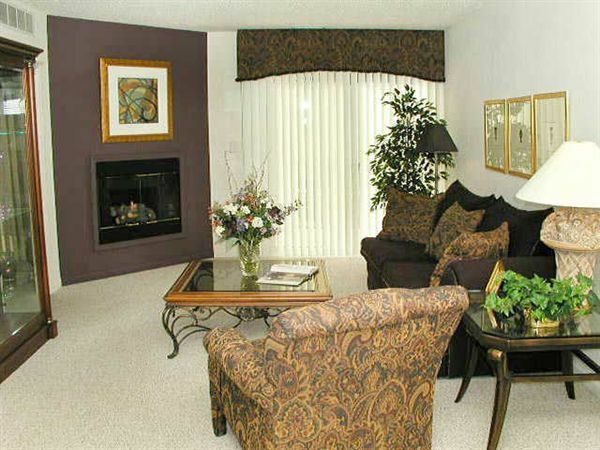 Experience the lifestyle that you deserve at Valley Ranch!